Social media marketing is not an alternative of traditional marketing strategies. One must understand that this is not an either, or, or situation. Using traditional marketing strategies in social media marketing is the key to be successful in social media marketing. It’s actually a part of the traditional ways. How are social media marketing strategies interlinked with traditional processes? More traffic means more prospective customers. This has always been the key factor. Social media marketing helps companies target audience in a more proper manner and get more customers. You just remember that in social media marketing, customers might not be able to reach you when you’re offline. That’s why the print matters. It’s always present. The social program you have at these sites should be relevant to your company and its work. Be practical, organized and well represented. All these values are learned from tradition itself. Use QR codes to have a direct link between your online world and print world of our company’s business. This way, People can always be in touch with you. 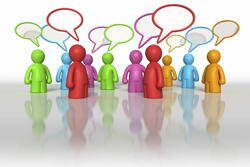 We can understand that since it’s all online now, more people can be reached easily as the forum is global now. If you know the story of the hen with golden egg, use the moral here. Don’t put in all your money in this strategy as it might fail. Keep other doors open. Branding is all that matters. If you brand is strong, you can sue any strategy and get profits from anywhere. So have good brand name. Advertize well, go or brand awareness, plan, price and campaign well and you will be rewarded.